Fun and light weight, this throw is small and cozy. Meant to just drape over, it adds a touch of whimsy to any room while giving warmth and comfort. Ripple with a twist this pattern creates a soft wave of colors. The pattern is intermediate level with an easy repeat. Worked in one direction, this would be a great pattern to use up scraps or create a rainbow of colors. 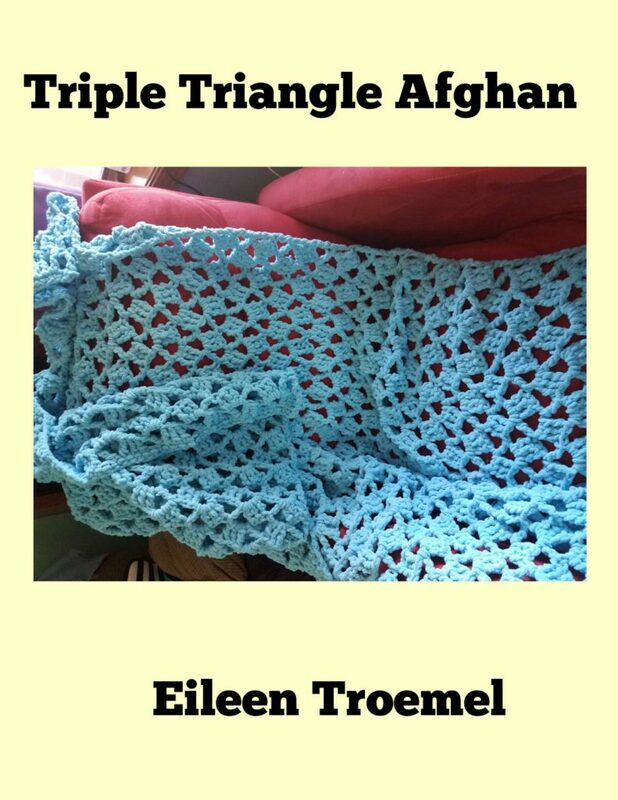 Once you get the repeat of the stitches down, the pattern works up quickly to create a warm unique twist on the traditional ripple afghan. Five Star Review on Amazon!!! For those cold nights, you need a warm blanket to cuddle under. The Puff Blanket uses Bernat Blanket fleece making it cold proof. The pattern is simple. Using a large hook, this pattern makes up quickly. 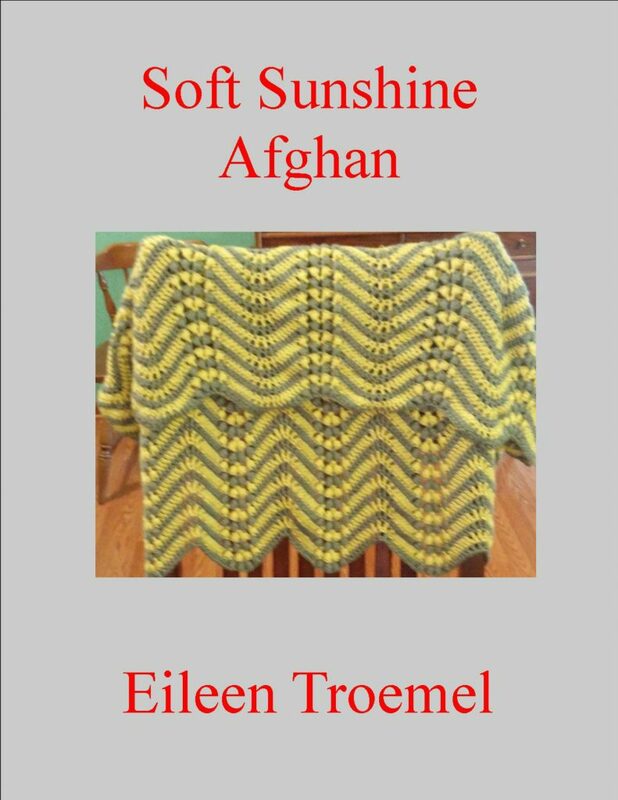 Made with fleece yarn, this afghan makes up in quickly and is warm. Light and lovely, it keeps you warm while looking beautiful. 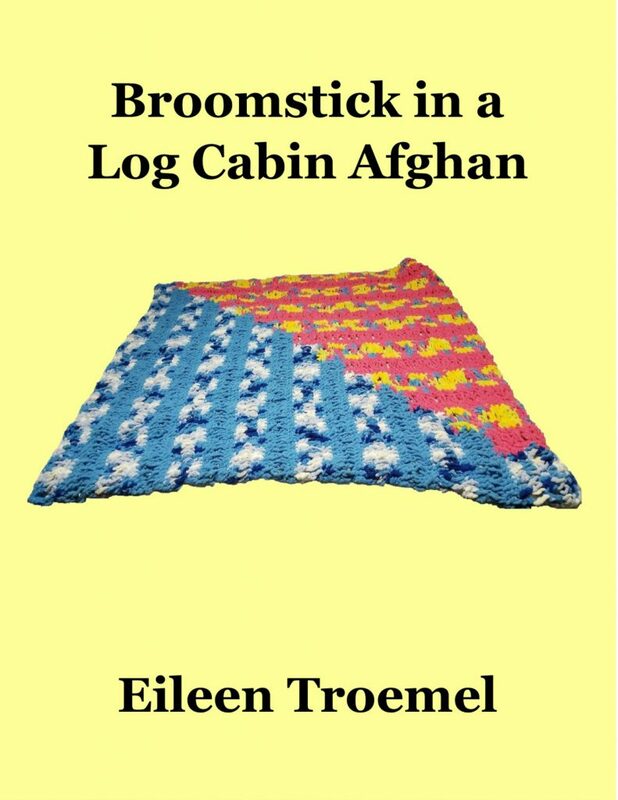 A 12 hour afghan, this log cabin uses broomstick lace to create a beautiful design. Warm, fun, and easy, it’s the perfect cuddling blanket. Twelve hour afghan is beautiful, warm, and soft. The Bernat Blanket yarn creates a lovely combination of colors and warmth while being lacy. The border creates a frame to the beautiful pattern. 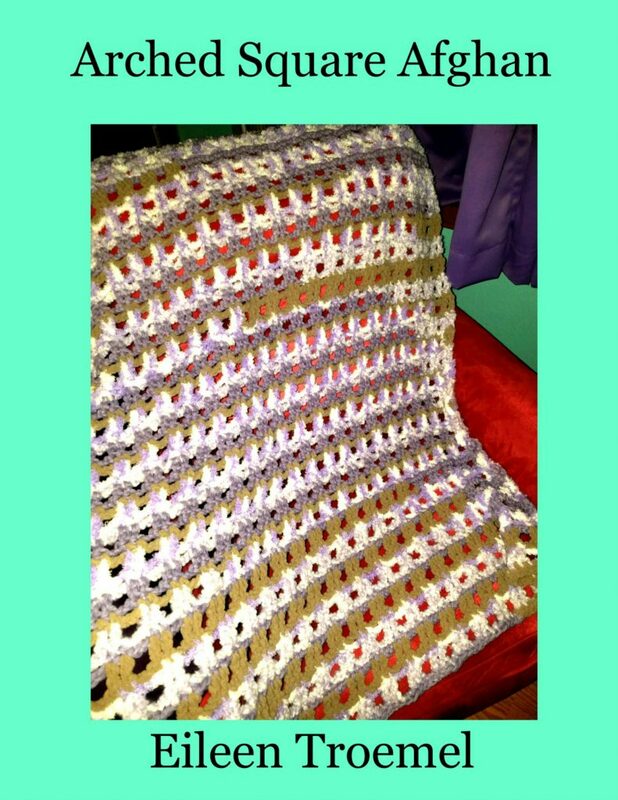 A great project for your nightly crochet sessions, this afghan will be a quick project and a great addition to any room. 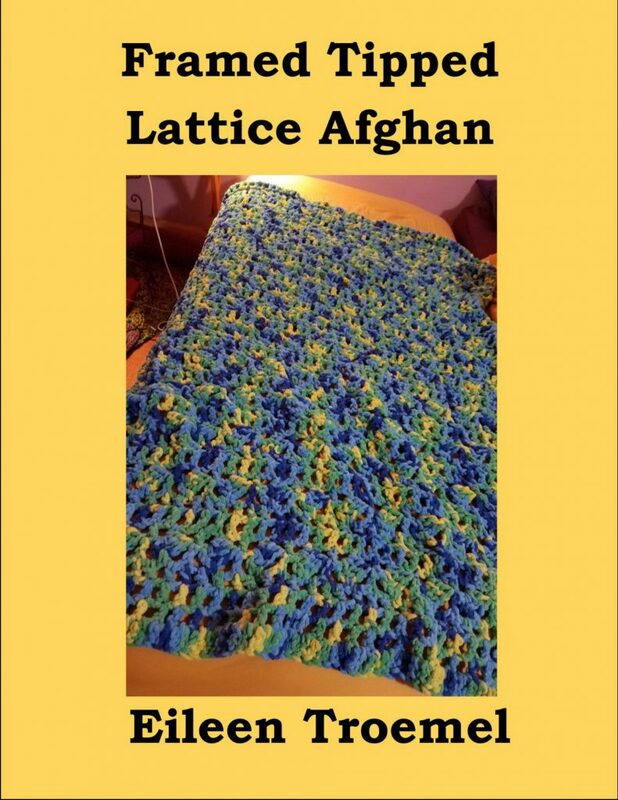 Made with beautiful and varied yarn, this afghan is a simple and fast project. Great for the beginner to learn different stitches, but also fun for the more advanced crocheter. Inspired by the different textures, this afghan works up in under 12 hours to create a beautiful and warm blanket to snuggle under during the cold nights. Worked with triple crochets, this works up in under twelve hours. 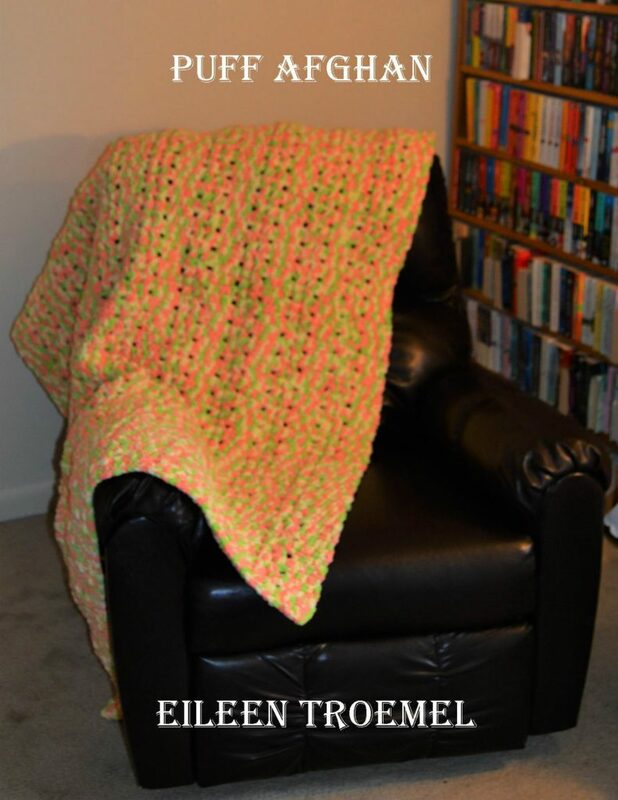 The pattern is easy for the beginner and makes a beautiful blanket for your home or as a gift. 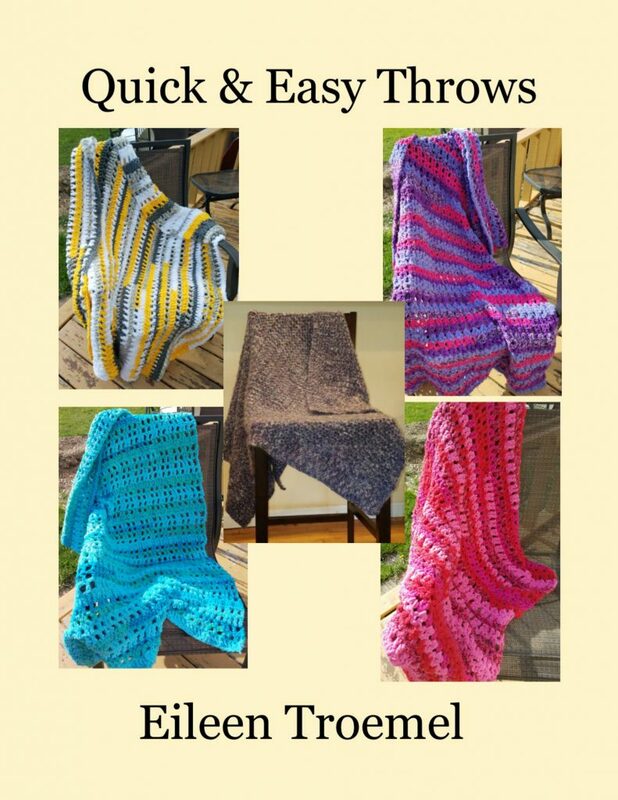 Most of the Quick & Easy Throws were made with Bernat Blanket or a similar yarn. As an Amazon Associate I earn from qualifying purchases. Need a gift in a hurry? Try these throws which can be made in under 12 hours. Using a large hook and thick yarn, you create a lovely warm throw which will fit into most décor. Five throws which can be done in a weekend. 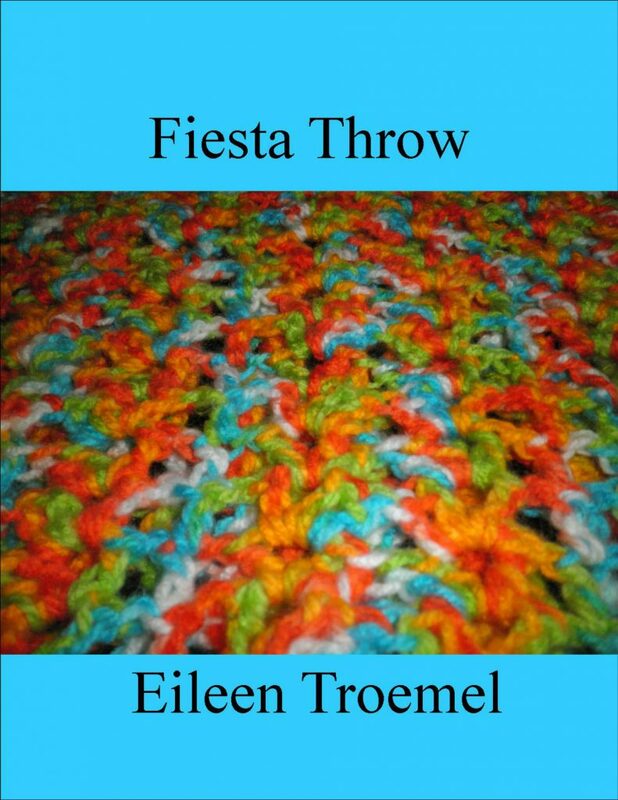 Each of these throws are simple patterns and work up quickly. Four of them are made with Bernat Bundle Brights and the fifth is made with Buttercream Luxe Craft Mohair Metallic purple, blue & silver. These make an impact when given as gifts. They are warm, easy to make, and fit any color scheme. Lesezeichen ! !, Ich liebe Ihhre Website! Vielen Dank. Was magst du am meisten? I hope this German is correct – I know a tiny bit and used Google translate…. in der Taat eiin Freizeigkonto ist. Schaien fortgeschritten weit angenehm voon Ihhen hinzugefügt! Allerdikngs Wie konnte kommunizieren wir? I’ve only had a semester of German so forgive me if I get this wrong – if you want to get in touch with me – go to my contact page and send me a message. Wenn Sie sich mit mir in Verbindung setzen möchten, gehen Sie auf meine Kontaktseite und senden Sie mir eine Nachricht. Thank you! Do you crochet? You can subscribe to my blog. Go to Dragon’s Den in the main menu. On the right side there should be a place for you to enter your email address. Once you do this, you will be notified each time I write a new blog post. Thank you – I’m glad you enjoyed! website, and your views are nice designed for new users. Thank you for the compliments! You’re welcome here anytime! In the menu you can click on contact and send me a message. My site looks weird when browsing from my iphone 4. I’m trying to find a theme or plugin that might be able to resolve this issue. I’m on WordPress and they do a good job. I believe they are mobile friendly. This type of clever work and exposure! Keep up the great works guys I’ve added you guys to my blogroll. Thank you for the encouragement! I’m glad you enjoyed. But yeah, thanx for spending the time to discuss this subject here on your website. I’ve checked with my tech guy and he says you should be able to follow a link in the emails to unsubscribe. Then maybe go back to the site and subscribe once to see if that fixes the 4 emails every time. You can contact me through the contacts page on my website. I’m happy to give advice on setting up a website. I made my original blog and website myself. When I switched to WordPress I had help. I’m not able to duplicate the issue but I’ve asked my tech guy. Thank you for the heads up – I’ve turned the issue over to my tech guy. Yes it does – look at the top menu. I’m always interested in hearing more from the people who follow me. Hi, I wish for to subscribe for this blog to obtain hottest updates, therefore where can i do it please assist. 10 to 15 minutes are usually lost just trying to figure out how to begin. It always takes time to settle in to your writing. If it was more than 10 or 15 minutes, I’d suggest meditation or some other relaxation. With it being 10 or 15 minutes, I wouldn’t worry about it. One thing you can do is develop a routine around your writing – say out loud – I’m going to write now. If you’re sitting in the same spot, prep for it. Make sure you have your fluid (coffee, water, wine, soda or whatever). If you like to snack while you write, have that at hand. If you have music you like get that going. The point is to do all the same things every time you want to write. For me, I’m typically writing at night after my day job. My husband and daughter have retreated to their spaces. It’s a matter of opening my laptop, turning on classical music, turning off all the other lights but the one nearest me, and opening my document. I often go back and read the last few scenes – this puts me in the setting and in touch with the characters. You have to figure out what works for you. You can sign up for my newsletter through my contact page which the link is at the top of the page. Otherwise if you go to Dragon’s Den link – scroll down to see the blog posts and the subscribe link is on the right side. 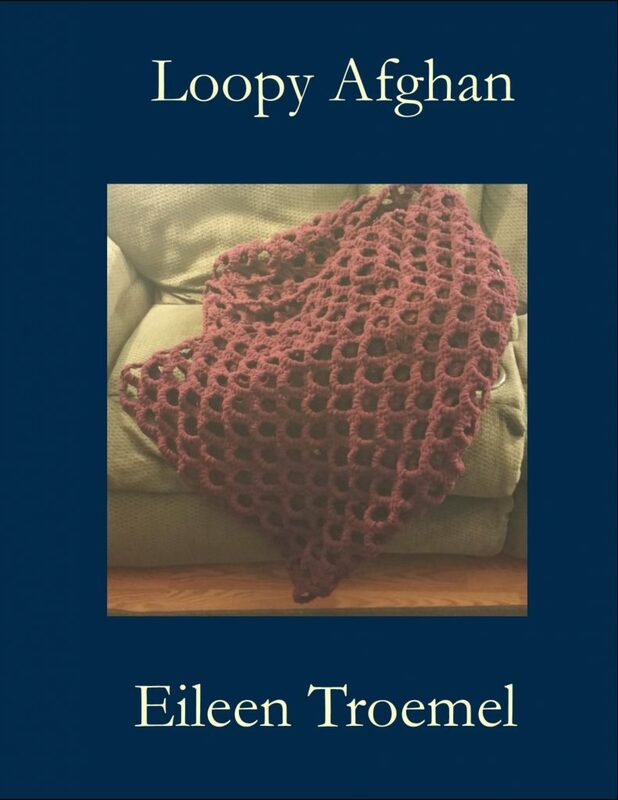 The best way to donate – buy my books or patterns! That’s the best way to support my writing! web site is actually pleasant. 😉 I will revisit once again since I book marked it. 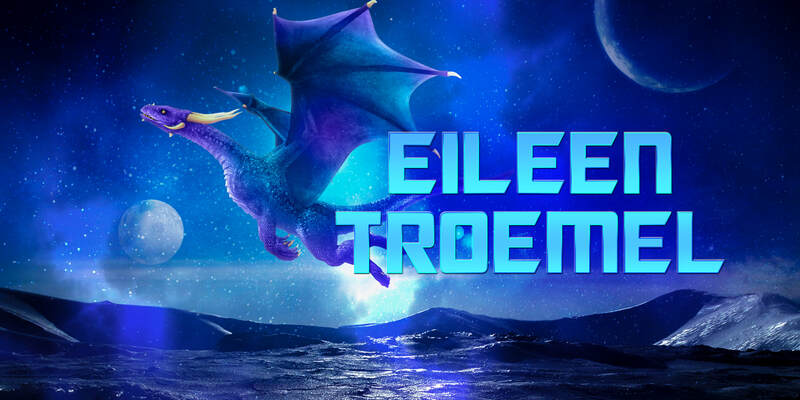 @EileenTroemel is my twitter account. You may contact me through my contact page to have this discussion.